Business is hard work and you probably have invested a lot of time, effort, and money into building your enterprise into a real income. The last thing you need is to have someone cart it away in the night. We can protect your property, money and information so that you don’t have to worry about security. We know you have enough on your mind. 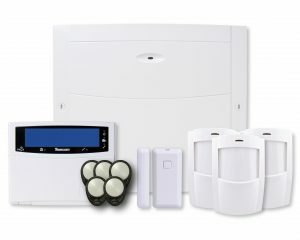 We help you to establish your business needs and custom develop an alarm system so that you can feel safe without wasting money on fancy gadgets you might never need. Because of our experience we are always aware of the latest technology. We are never fooled by the hype of many systems so you have the benefit of our installers’ knowledge. WirelessMediaComs can keep your business secure with any type of security system.